Fiat have worked their magic once again with the introduction of their latest offering in the commercial vehicle sector for Australia. 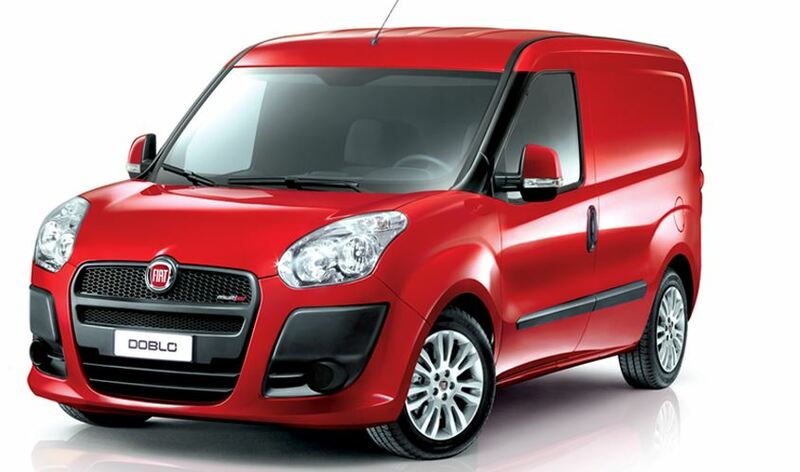 Now, the Fiat Doblo (or, more correctly, the Fiat Dobló) is lining up alongside the already popular Ducato as a very worthy option for those on the lookout for a good work van. The Fiat Doblo is one of those vans that could be used in a variety of ways. The most obvious way of using all the easy-access space in the load bay is as a tradesperson’s or contractor’s van – you’d be able to get all your work gear and then some into the back. And how much easier could it possibly be to get things in and out of the back of any of the Doblo variants, what with big wide rear doors that open to 180° and the floor space being just 55 cm from the ground? Other options could include customising the Fiat Doblo as a campervan, as a wheelchair taxi or a mobile store. The possibilities are limited only by your imagination. 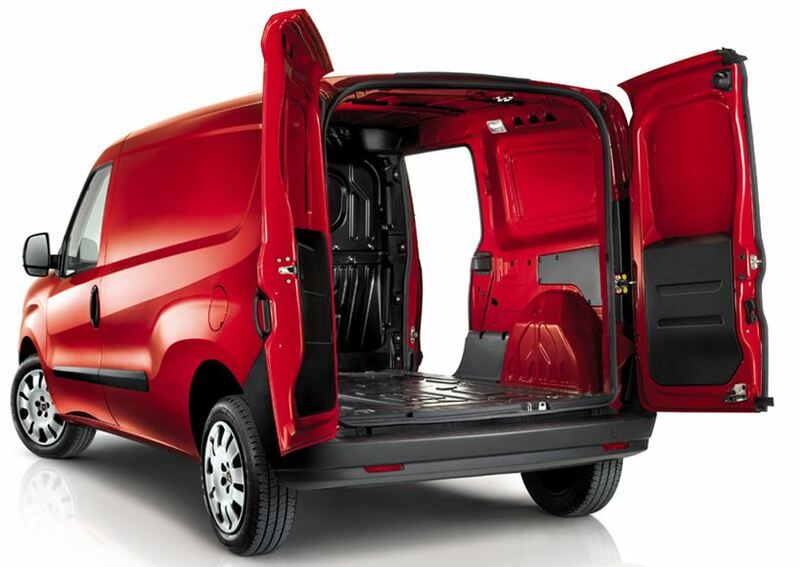 Size-wise, the Fiat Doblo is a smaller van (those wanting a larger Fiat commercial vehicle should consider the larger Ducato), with the Cargo Van offering 3.4 m3 of cargo space and a payload of 750 kg, and the Maxi Van offering 4.2 m3 and 1000 kg. The cargo bay in the SWB variant is 1.82 m long, extending to 2.17 m in the LWB Maxi. Load aren’t the only thing that a tradie has to carry about, so the Fiat Doblo is fitted out with a lot of cunningly planned storage spaces in the cabin, such as one in the passenger seat cushion. You’ll also find a roof-mounted storage shelf for smaller items that you don’t want to lose behind a bigger load. Retaining rings in the load compartment make securing large loose items a breeze. Just to give your imagination even more scope, there are two body types available for the Fiat Doblo (the Cargo Van (aka the short wheelbase version) and the longer Maxi Van), and several engine types. Inside the SWB variant, you can pick from the 1.4-litre petrol (5-speed manual transmission only) or the the 1.6-litre diesel (comes with 6-speed manual or 5-speed comfort-matic robotized automatic transmission); the Maxi Van comes fitted with a 2.0-litre diesel (6-speed manual). All of the offerings have front wheel drive and all have electronic stability control. The 1.4-litre petrol engine delivers 70 kW of power and 127 Nm of torque. The 1.6-litre diesel has a maximum power level of 70 kW in the manual and 66 kW in the auto, with the torque curves peaking at 127 Nm and 200 Nm respectively. In the biggest Fiat Doblo engine of them all, the 2.0-litre diesel, the power maxes out at 99 kW and the torque peaks at 320 Nm. The combined fuel economy figures for the engines are 7.3 L/100 km for the little 1.4 petrol engine, 5.4 L/100 km for the 1.6-litre diesel manual version, a very frugal 4.9 L/100 km for the 1.6-litre auto and 5.9 L/100 km for the 2.0-litre diesel. The superb fuel economy in the 1.6-litre diesel auto is aided by the Start/Stop function. One unseen but certainly appreciated design feature in the Fiat Doblo is the rear suspension. This independent bi-link system has been made to avoid the lumbering handling of a lot of older vans, meaning that this vehicle handles on the road like an ordinary sedan, in spite of what you’ve got loaded in the back. Health and safety in the workplace may be a bit of a cliché, but it’s a necessary cliché, so it’s pleasing to see that the Fiat Doblo doesn’t skimp on the safety, what with the already-mentioned electronic stability control package (includes hill ascent control, traction control and brake assist), the ABS brakes with EBD, the anti-intrusion bars on the cabin doors, airbags for the driver and the front passenger, the rear parking sensor (not available on the petrol model) plus the fire protection system. Comfort isn’t skimped on, either, thanks to the air conditioning, the cruise control (not available for the petrol model) and remote control locking and door opening. Even your entertainment is catered for with the Blue&Me communication system and the 4-speaker sound system (radio, CD and MP3 player). 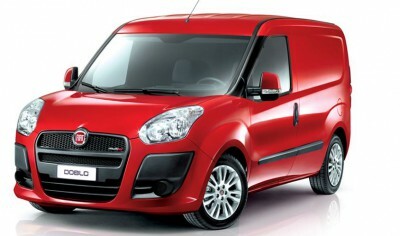 In the style department, the Fiat Doblo has done away with the rather dangerous flat-nosed tradition for vans and has got a “real” front end instead. This front end looks like it’s been taken off a sedan or even a sports car, what with the dynamic-looking headlights and the air intakes. The matte black touches on the door handles and as extra aesthetic detailing along the sides and roof complement all of the 11 paint colours that you can get the Fiat Doblo in. The diesel variants also have body-coloured side mirrors (electrically controlled) and bumper. The Fiat Doblo is sure to be a van that appeals to many Australian businesses both large and small, so we won’t be the least bit surprised to see a number of these buzzing around the streets of Sydney or Melbourne (or Brisbane or Adelaide or…) emblazoned with lots of different company logos. For any more information on the Fiat Doblo, or for that matter any other new car, contact one of our friendly consultants on 1300 303 181. If you’d like some fleet discount pricing (yes even for private buyers! ), we can submit vehicle quotes requests out to our national network of Fiat dealers and come back with pricing within 24 hours. Private Fleet – car buying made easy!